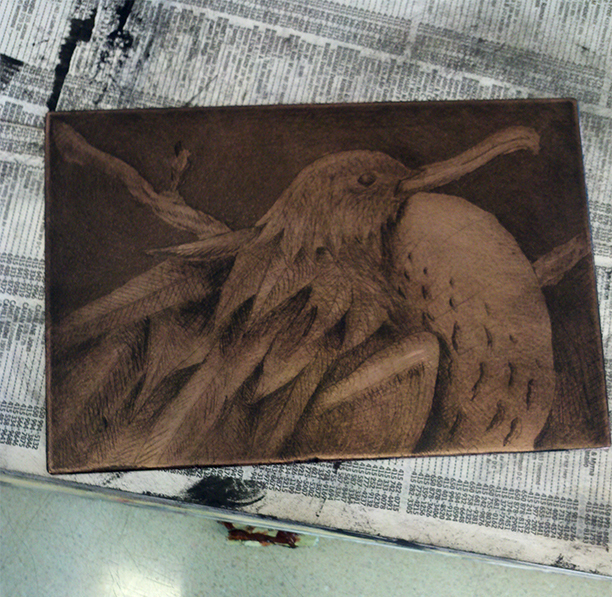 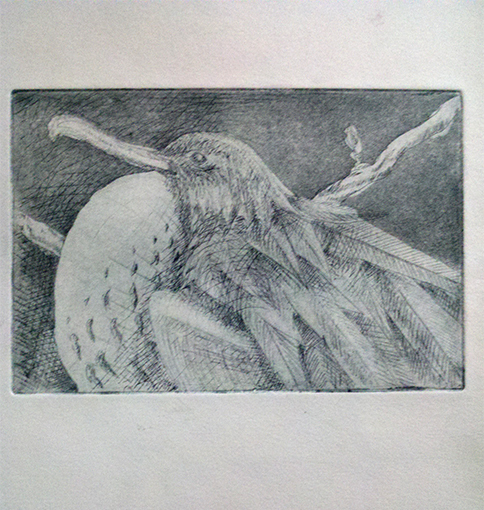 Etching project of a Frigate Bird. This is the proof after using the aquatint technique on the background. This is how a copper plate looks like after it has been inked up. 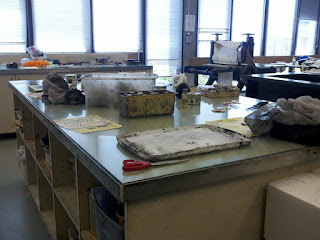 The Printmaking lab setup at CCSF. 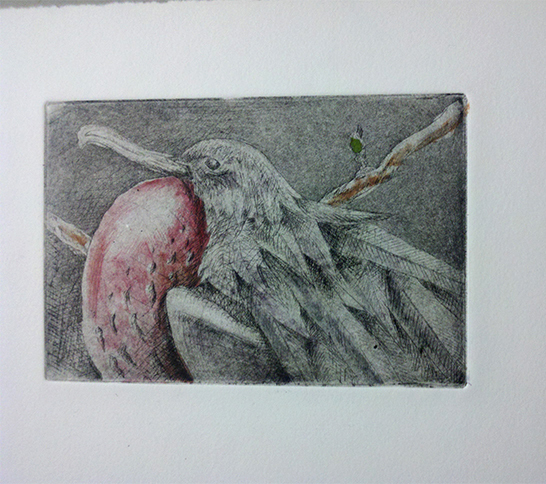 Final product after painting color on acrylic sheet and adding more depth by dry pointing.